Always climbing to new heights, Joy Sterling of Iron Horse Vineyards nabs Kevin Jorgeson as a guest speaker. I am very excited to announce that our speaker for Celebrate Earth Day in Green Valley will be Kevin Jorgeson, who free climbed the 3,000-foot Dawn Wall of El Capitan, with climbing partner Tommy Caldwell, in January . The date is Sunday, April 27, from 12:00 noon to 3:00 p.m. Participating wineries include DeLoach Vineyards, Dutton-Goldfield, Freeman Vineyard & Winery, Hartford Family Winery, Iron Horse, Lynmar Estate, Marimar Estate, MacPhail Family Wines, and The Rubin Family of Wines. 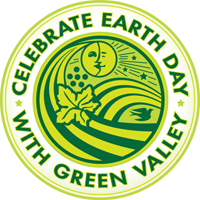 This Earth Day event celebrates Green Valley of the Russian River Valley. Personally, I can’t imagine spending it anywhere else, in a perfect world. Ted Turner is perhaps best known as the founder of CNN and for his billion dollar gift to the United Nations. He is the second largest land holder in North America with approximately two million acres. He has five active foundations addressing some of the world’s most pressing issues – from improving air and water quality and developing sustainable energy solutions to his Captain Planet Foundation, which educates children on how they can make a positive impact and the Nuclear Threat Initiative launched in 2001, which works to reduce nuclear dangers. Sandra Day O’Connor is a retired Associate Justice of the United States Supreme Court. She was appointment in 1981, by Ronald Reagan, and served until her retirement in 2006. She was the first woman to be appointed to the US Supreme Court. Kevin Jorgeson and his climbing partner Tommy Caldwell were the first two climbers to successfully complete a free climb, of the Dawn Wall called El Capitan. In Yosemite National Park, they completed the 3,000 foot climb, between December 28, 2014 to January 14, 2015.